After driving through some of the most amazing desert country I have ever seen....I ended up in the parking lot of the hotel to do my first painting in Arizona! 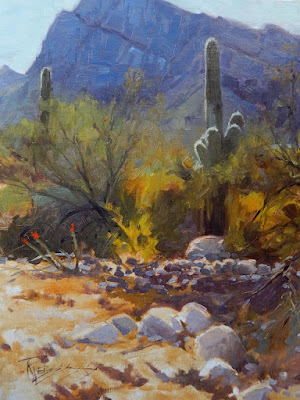 There was so much to do getting ready for the next big painting adventure I only had time to do one studio painting after returning from the Plein Air Convention in Tucson . 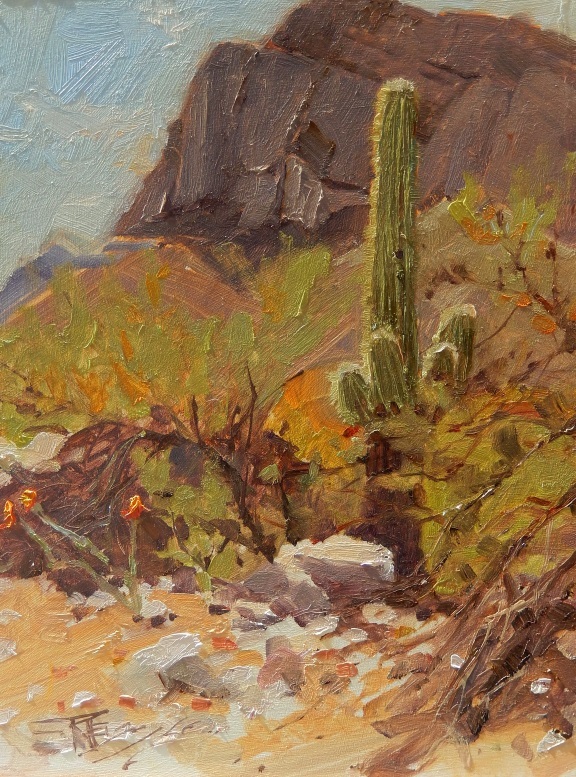 I painted this from a study done right in the parking lot of the El Conquistador Hotel where PACE16 was held. The intensity of the sun was ...well, intense! Not being used to that kind of heat, light or color palette it took me awhile to acclimatize to the landscape in Tucson. I started with my usual red/orange under-painting for this study and that seemed to work pretty good at retaining the warmth of the light I was seeing.